Stretch Armstrong World has grown to over a 40 page Website and still growing as we approach the 2nd anniversary of Stretch Armstrong World Website! Please enjoy this new Mega 40 Page of all your favorite Stretchy Toys and related items. 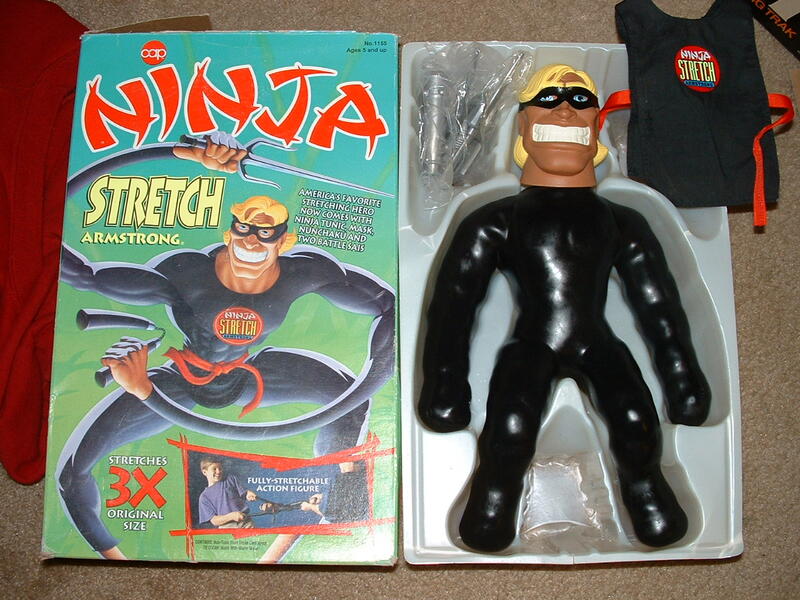 Thanks to all my fellow Stretch Collectors! 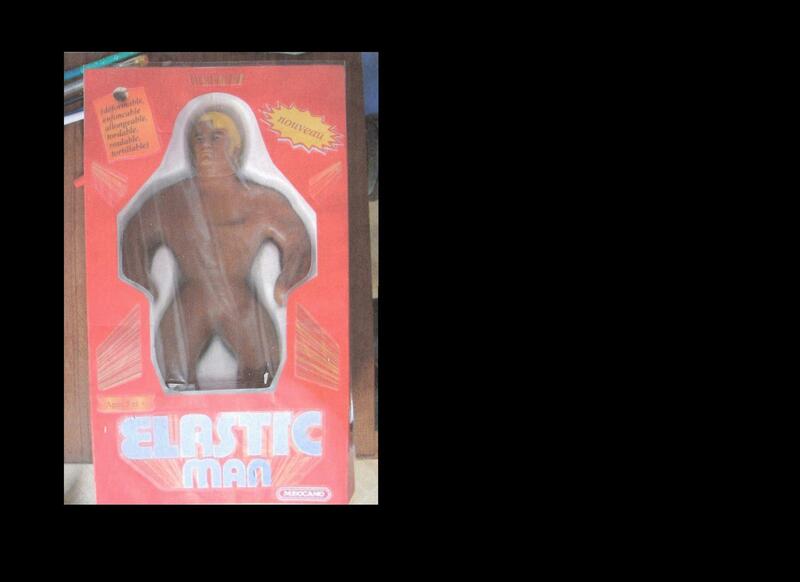 Here is a Homebrew of the Rare ElasticMan Stretch Armstrong Box. 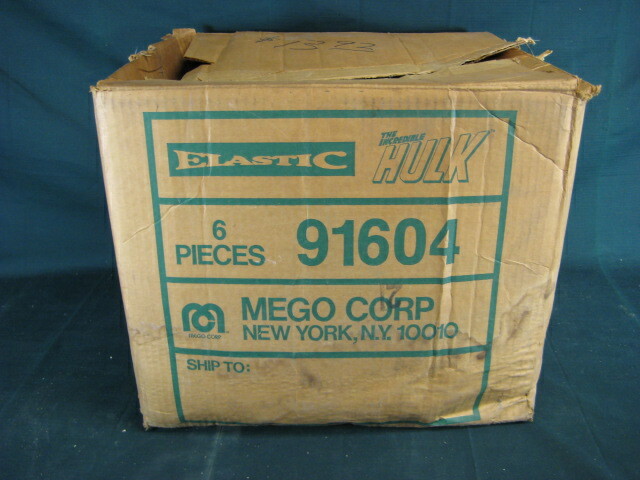 This Homade box resebles the Mego Elastic Boxes with this see through window.A Stretchy sent this into Stretch Armstrong World last year. A job well done on this Homeade Stretch Box. 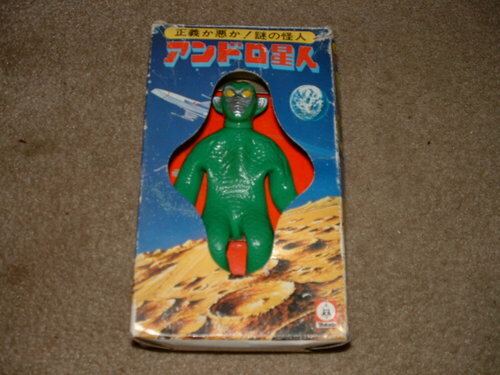 Any of you Mini Stretch Armstrong Collectors, shown here is a most valuable and rare Stretch Ultraman Figure from Japan. If you want this mega rare piece, expect to pay a minimum of 400 bucks for it. 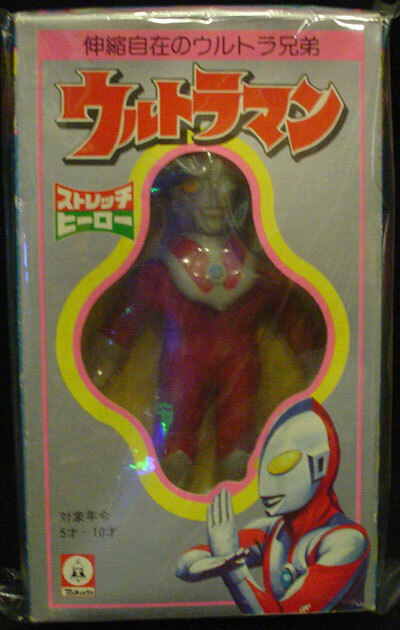 Check out Billy Galaxy website where you may find and purchase one of the only Stretch Ultraman remaining today. 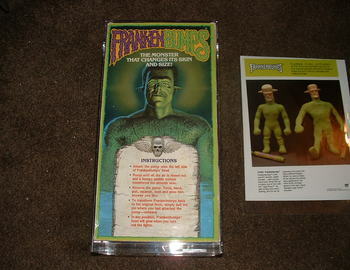 Who could resisit this Coolest ,freakiest Frankenbumps Box! 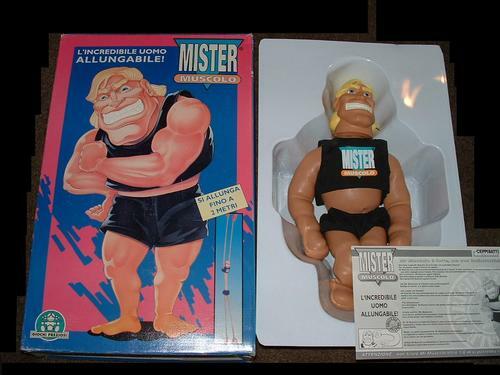 If you look closely, you can see that the figure on the box was an unfinished figure. The extra skin on the neck area was never cut off but instead folded over and the head was just stuck in. 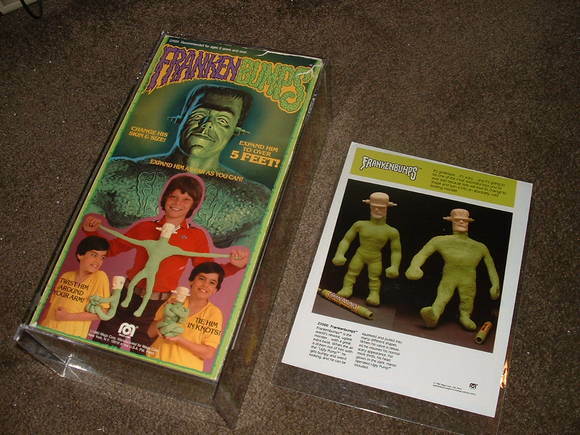 Where could the Frankenbumbs Figure Be? Does it actaully exist? The Ugly Pump! Man I love that! What an amazing piece! The original wax mold that was used to make the mega rare Stretch Serpent Head! 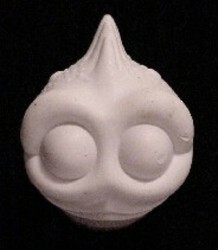 The Mold was carved from wax and then painted white so its features would be more easily seen. From this wax mold a metal mold was made which inturn was used to form the plastic Serpent Head! .I would personally pay the owner of this serpent mold over $1,000. If you are out there, please contact me . Above is the Drastic Elastic line of stretch figures from justoys . Produced in 1993, the Xtendinator shown here has an arch enemy named Xpando Commando. 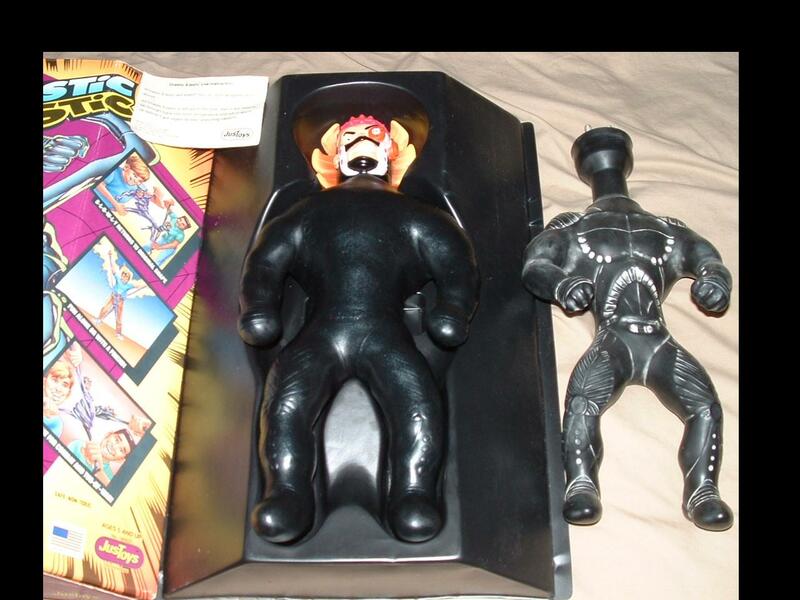 The only Black Stretch Figure stands 15 inches tall, the tallest figure in the stretch kingdom. 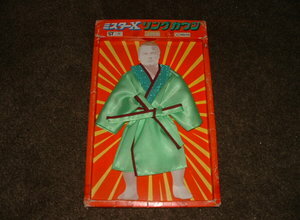 very very rare figure. this Drastic is perfectly mint but has hardened after 15 years. I plan on draining him and refilling him with either cotton or fresh syrup. 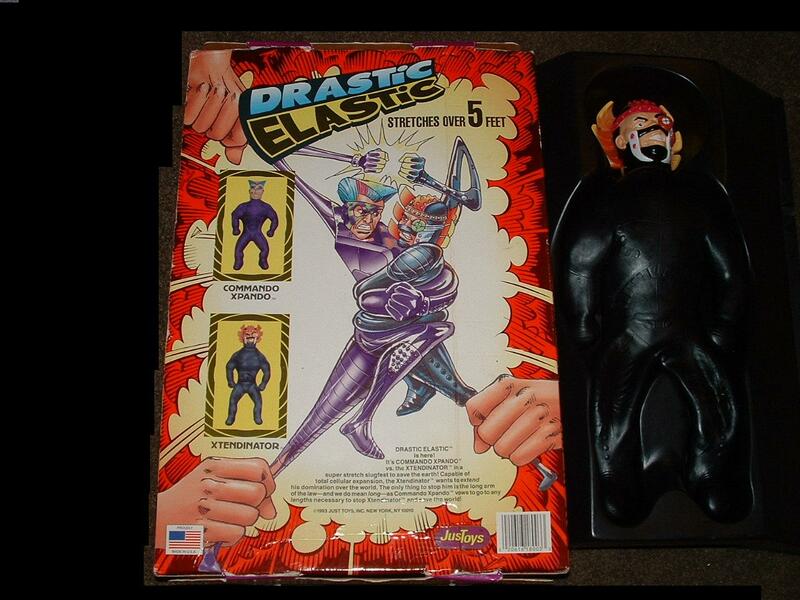 This very Rare Photo of what was to be a Television Commercial for the Drastic Elastic Stretch Figures. These Guys had professionally created costumes which mimicked the two Stretch Figrues, Xtendinator, which is shown above being stretched and the Arch Enemy, Commando Xpando. Each Figure had Metallic skin.It is unknown weather these figures ever made it to store shelves and if the commercial ever ran on the tube. Above is the Drastic Elastic Xtendinator with the Rubber dip mold that was used to produce this Stretch Figure. A very very rare thing to have such obscure pieces together. 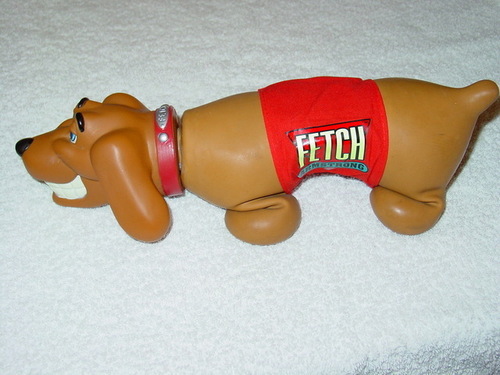 The Cap Toys Fetch Armstrong shown above is actually a very rare Dog. His unique red jacket is the only one ever seen as the jackets were produced in black only. The Fetch Armstrong Dog has become very very scarce in the past couple of years. 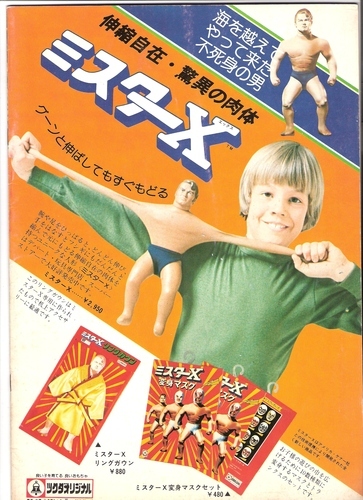 Above is a advertisment in Tiger Magazine from 1979 showing a Stretch Armstrong Contest where they were giving away 75 Denys Fisher Stretch Armstrong Figures. Each entry was to pick their favorite sports star of the year from the 6 stars shown at the top of the page and then explain why their pick deserved to be the best. The 75 best explanation each won a Stretch Armstrong Figure! What a great contest. This contest was held in the United Kingdom where Tiger Magazine was published and Denys Fisher Toys was based.Do you remember this contest ? Watch Stretch Armstrong World soon for another Real Stretch Armstrong Riddle Contest where you will have a chance to win a Stretch Armstrong Figure! OK Boys and Girls, Your not gonna believee this! What was believed to not even exist has recently been found in a Florida Flea Market! I recently purchased this Super Stretch Mask shown above from a great guy named Rich and it is the only Mask to date with complete paintwork. The Shirt,Tie and Pocket are all appearent on this incredibley valuable mask figure.All the other known Mask figures are missing the final pocket making this Super Rare find the most valuable of all the Stretch Masks.Not only is this Still totally soft, Mint Mask complete ,but th paintwork is superbly done with very clean edges and the shirt painted up to the neckline.If I told you what this Mask was originally purchased for you would not believe me. Lets just say the seller at the flea market had no Idea what it was worth or even how rare it is.IN the very end, I was the one who really payed the price but it was well worth it. Thanks Rich. Here is how the Stretch Figures looked when they were shipped out to the stores in 6 count with a weight of 30 1/2 LBS.This is an actual Shipping Box full of Stretch X Rays. Pretty awsome! The Kenner Factory in Cincnatti Ohio where the Stretches were born. Back in 1990 Hasbro bought out Kenner which operated the Plant untill its recent shutdown in October 2000. Due to financial troubles caused in part by decreased demand for Star Wars toys.Hasbro has officially closed its doors in Cincinatti Ohio, the traditional Headquarters of Kenner Toys.Kenner holds a special place in the hearts of many people now in there 30s and 40s. 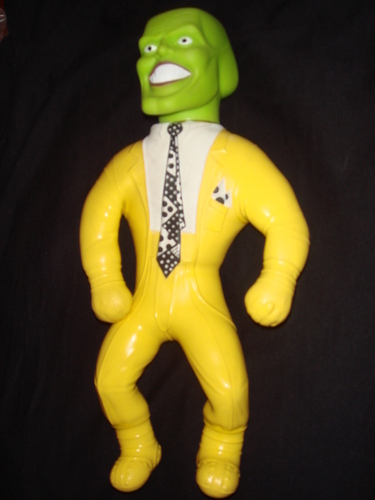 They were the producers of Strawberry Shortcake, Carebears, Playdoh, the Six Million Dollar Man, the StarWars Toy Line and of Course The Stretch Armstrong Line.Even though the Company has technically been defunct for years,this shutdown serves as its final death knell..... I guess nothing lasts forever. The Kenner dumpsters--into which many of the company's "trash" prototypes are thrown--are now a sort of tourist attraction themselves, having attained an almost mythic reputation among collectors who value what that pre-production material today represents.These dumpsters were at times full of incredibly rare and priceless unseen prototypes as well as rejected ideas, molds and anything else one could imagine. kinda makes you wanna puke, doesnt it? This is the sign that hangs on the wall above the dumpster at kenner. 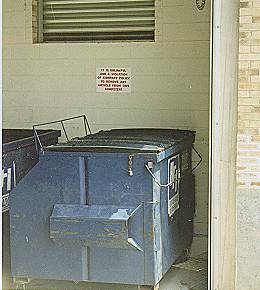 This is why today many of the Stretch Dip Molds are so rare as employees were forbidden to go into these dumpsters. However there were a few ballsy employees that retrieved a few items that today are almost pricless like the Stretch Monster Mold etc.Otherwise,Their contents was totally destroyed. 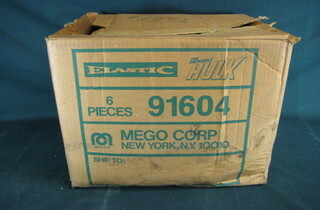 Yet more Kenner dumpsters that were held under lock and key. 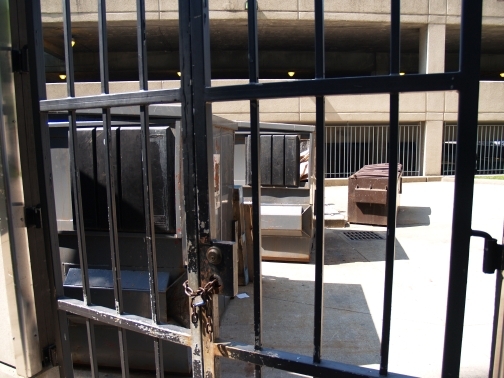 notice the steele gates and the chains and locks that kept people from obtaining these incredibly obscure prototypes these dumpsters contained. 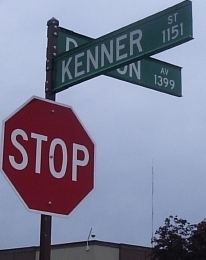 This is where Kenner got its name. 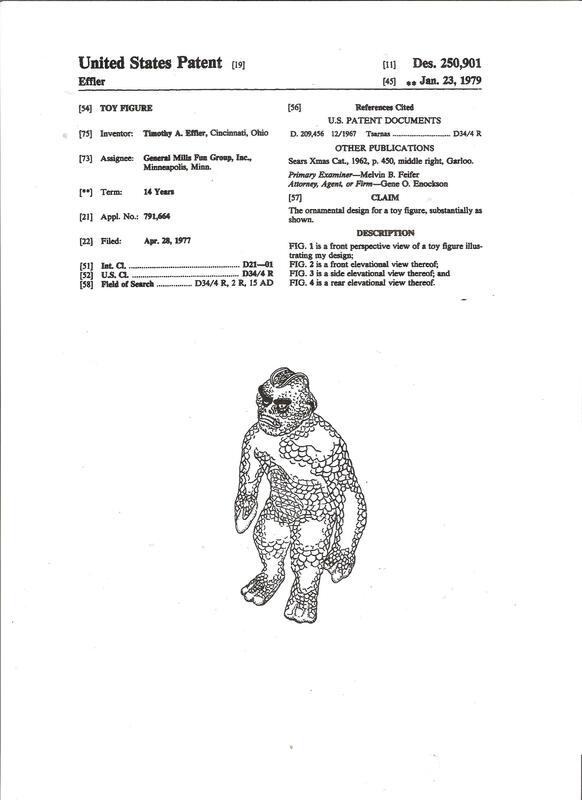 Believe it or not,Kenner Street was there before Kenner became Kenner.The Original Kenner Factory is located on Kenner Street in Ohio. Across the street from the Kenner Factory we see the beautiful building which would serve as inspiration for the Fortress of Justice in the Kenner Super Power Line. 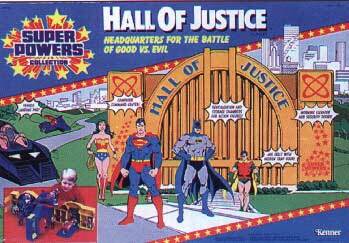 See the reseblence of the Super Powers Hall of Justice below. 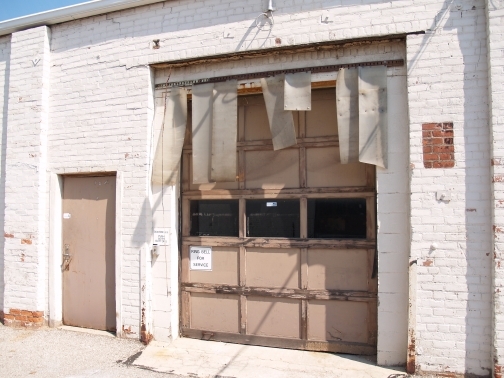 This garage-like door was where Kenner and Hasbro would bring materials in to be photographed. Back in the day you could peek in and see photographic set-ups for catalog shoots. Then they would be unceremoniously dumped. 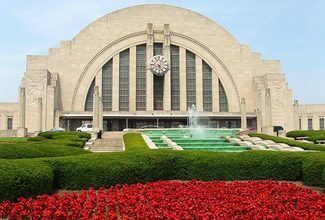 The Hall of Justice was no doubt inspired by the beautiful building that was located across from the Kenner Factory shown above. Dont you wish your Ninja looked like this?This is an example of just how incredible cotton works to replace syrup.This rare Stretch Ninja one looked like all the other 7 Ninjas and was wrinkly,low on syrup and just looked plain old crappy.But since i drained and refilled him with cotton, this Ninja has become perfect having fullest form and a totally mint look. So please remember, whenever it is required and even at times as just a preference,refilling with cotton is a great thing and does not diminish the value of the figure at all as long as it has been refilled from the neck cavity and no damege is done in the process. The figures not only look better, but they will endure the test of time forever being preserved with this light weight contents..Send your Ninja to the Stretch king and I will send him back to you looking just like this one.Do me a favor, click on the above ninja and take a closer look to see just how mint this figure is. 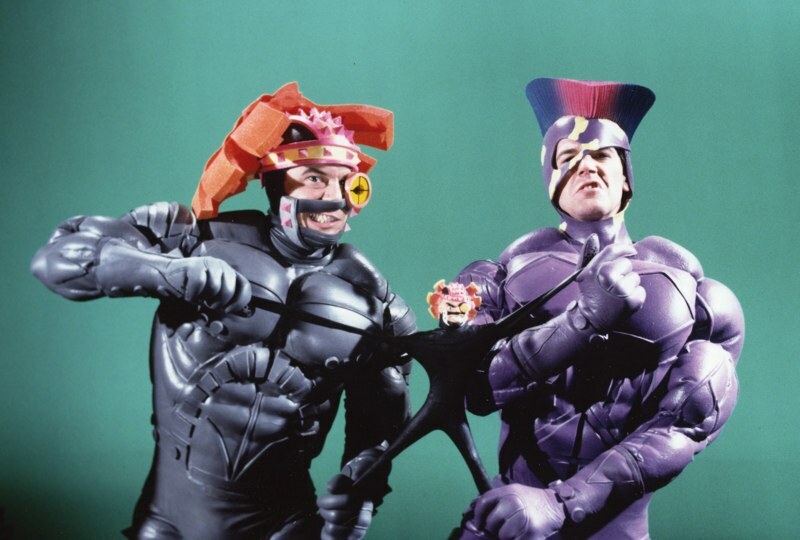 You may be saying to yourself,Just another Japanese Stretch Monster,right? Well actually this is an extremely rare Jap monster allright, but its the mini version! This Monster is only just over 6 inches tall. I dont noramally collect the Mini stretch figures, but this one was the exception because it compliments the larger Jap Monster as a collectors piece. Mini monster has the same exact shape and head as its larger father. This is the only one I have seen in all my years of collecting. Compliments of Eric Pfieffer and Rich for selling this monster to me. Thanks guys! You never know what you may find at your local flea market or yard sale. 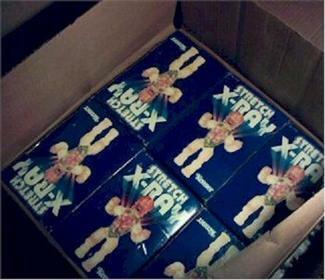 This guy hit the big one with this minty boxed X Ray! 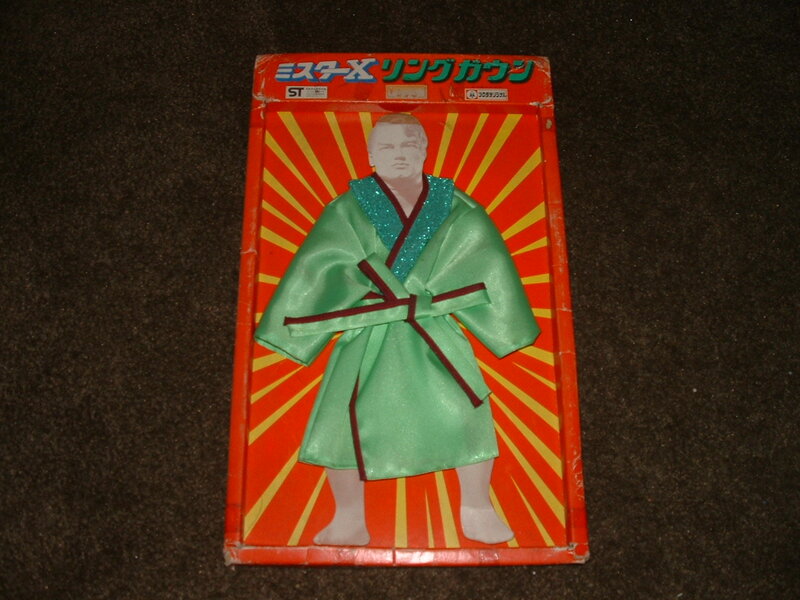 Above is an amazingly rare Japanese Wrestling magazine showing the Japaenes Stretch Arsmtrong on the front better known as Mr X,along with a picture of the incredible Stretch robe of which only one exist to date.If you look even closer you will see that along with the stretch robe the Jap Armstrong also had another great acessory ,Tusukada,the makers of Mr X Stretch armstrong also sold several different wrestling masks that were to be placed over the Stretch armstrongs head. A very cool acessory indeed that to date have yet to be seen other than the photo pictured here on Stretch armstrong World. 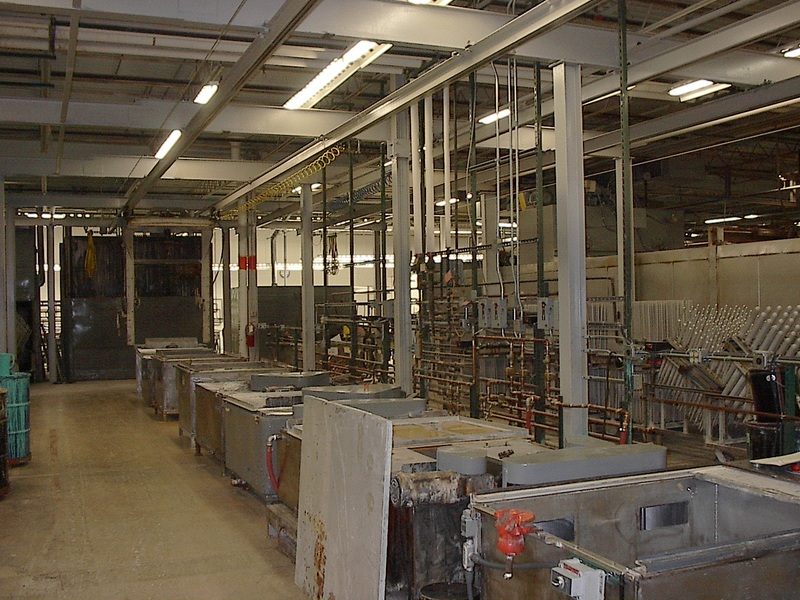 Above is the very first photo of one of the 3 latex dipping factories where the Stretch Arsmtrong skins were produced.As you can see the larg square bins that were filled with liquid latex .the Stretch molds were lowered into the latex from above and then dried and the skin then peeled from the molds.For more info on the dipping process,take a look at the Ab lab interview page on this website.